If you watch major league baseball, you see lots of different batting techniques. Some look pretty and smooth, others look jerky and ugly (check out Vladamir Guerrero who has played with the Angels, Ranges and Orioles or Mike Aviles of the Boston Red Sox). The right hitting techniques for you is whatever works best. Below we are going to describe some of the different batting approaches, and why some people choose one over the other. If you are looking for a change or improvement in your swing, then you have landed at the right spot. 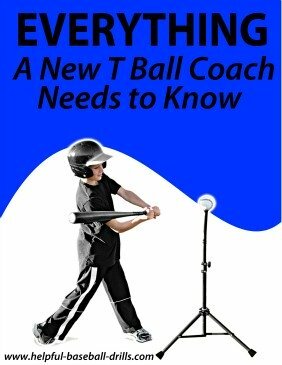 However, if you are looking for the detailed mechanics of a typical swing, then check out the section titled Mechanics of Hitting a Baseball, where we discuss in detail the five parts of a baseball swing. We walk you thru all five parts starting with “Approaching the Plate” and ending with “The Follow Thru”. That is a good section to start with and then come back here. 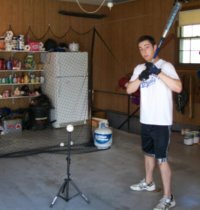 Batting techniques is the one area of baseball where you need to try different styles to see what works for you. There is pretty much only one proper way to catch a fly ball or field a groundball. There is no need to try anything different with those skills. So as far as your hitting goes, keep reading and be open to try new approaches. First take a new idea with you to the batting tee and see how it feels. 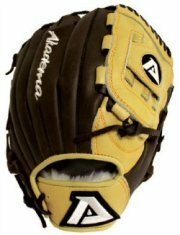 It feels comfortable, then give it a try in the batting cages. If you still like it, then take some live pitches at practice. Just keep tinkering with your hitting techniques until you are extremely happy with your swing. Let’s start by comparing the open stance vs. the closed or square stance. With the open stance, your front foot starts farther away from plate then the rest of your body. It is more like you are facing the pitcher. In the square stance (which is the more typical stance), both feet are equal distance from home plate, or close to equal. In other words they run parallel to home plate. And in a closed stance the front foot is actually a little closer to the plate than the back foot. In the open stance, when the pitcher goes into his windup, the batter starts his load by moving his front foot (and the rest of his front body) towards home plate. He actually closes his stance and begins loading up. There are two reasons some hitters choose an open stance. They will tell you they see the baseball better, and that they have more power. They feel they can “coil” the body better, and thus have more power. The hitter that chooses a closed stance feels like he can attack the outside pitch better. And he feels quick enough to still turn on an inside pitch. The square stance is what most hitters are taught in the beginning. Be sure and give the open and closed stances a try. Many times just a small tweak will give big results. Another change that hitters will make is the width of their stance. When hitters are first taught about batting techniques, they are taught to spread their feet apart at about shoulder width, or just a little wider. This is usually the best balanced position. You will notice some hitters start their stance much wider than shoulder width. If you are having trouble with stepping in the bucket, then this is a good technique to correct that. Stepping in the bucket means when you stride your front forward, you are actually stepping away from the plate. This causes your whole body to turn away from the plate, and usually miss the ball. Widening your stance will eliminate your stride, thus no stepping away from the plate. And other hitters like to start with a narrow stance, with both feet close together. They feel that a longer stride with increase their power. The problem here is keeping balance. A long stride may cause a slow shift of weight, thus leaving you off balance. Give both the wide and narrow stances a try. You can try these out just swinging a dry (air) swing. If one way happens to interest you, then take it to the batting cages and test some more. Give any changes you might be thinking about a lot of testing before trying them in a game. The changes might be right for you, but if you don’t practice them a lot, you will fail at the plate. And then you give up on a change that was going to be good for you. 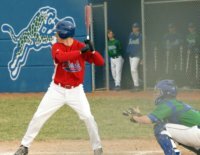 The last possible change in batting techniques that we are going to discuss is your depth in the batters box. Here we are talking about how from you are from the pitcher. You are taught to line your front foot directly across from the front of home plate. Lots of hitters will move around from this position. Many of them adjusting based on the pitcher. If it is a fastball pitcher, then they will line up deep in the batter box. And if it is an off speed pitcher (means he throws slow breaking pitches) then they will move up to the front of the batter box. They want to try and hit the baseball before it starts to break. Again, try this out in the cages, but this is one change you may have to try in games before you know if it is right for you. Most cages do not offer breaking pitches to try this on. You will learn in your baseball playing years that you are always checking and adjusting your batting stance. As you grow older, your body will change, and probably will your batting techniques.